It is big, intimidating and almost every rental apartment has it? No, we are not talking about that mountain of dirty laundry that you should have done two weeks ago. We’re talking about that big, staring white wall. Even if your landlord lets you paint the wall, it still looks bare if you do not decorate it at all. But it is not because you rent, that you cannot come up with a creative solution! With these, eleven rental-friendly solutions that add some style to that empty wall. Large, affordable art is not easy to find. And if you do find something, it usually only has sufficient allure to brighten up a hotel room. Do you want something more budget-friendly? Then create something yourself. That is possible even if you are not immediately creative and artful! Forget about painting, find some nice and beautiful fabrics with motif and drape them around a blank canvas. If you feel completely wild, do this three times with the same or different fabrics. This way you immediately create an artful triptych! Are there any tapestries, vintage stitches or even antique cloths? Do not store them in a drawer, but hang them on the wall for a unique character and texture. Focus on the shades, and make sure the colors work well with your existing decor. Or consider using the white wall as a focal point and adjust the other colors in your decor. An additional advantage: textile against the wall provides additional sound insulation for the neighbors and is also very cozy! Have something too much of something nice? That is almost impossible especially when you start to group art. A well-designed gallery wall is particularly powerful. The colors, texture and patterns remove negative space and increase the finished feeling you want to achieve. For example, start with two larger pieces hanging diagonally from each other, and fill the empty space below or above with smaller pieces. Buy wallpaper or use surpluses that you still have, and frame them in a large frame for a beautiful new motif for your wall, without chasing your landlord. Choose a frame that is as large and thin as possible to get a panel look. If you are completely in a creative mood, you can even use multiple motifs and patterns for your wall! No frame? First ask permission from the landlord. 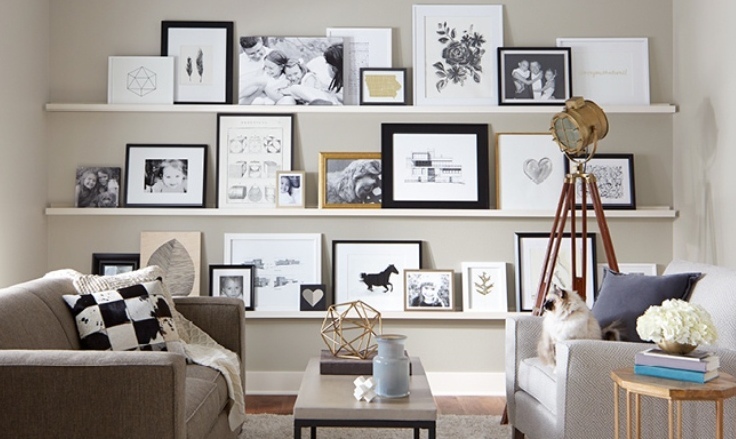 Are you nervous about having to hang a lot of frames on that wall? Floating creatures may be a solution. Hang up a few of these, and install your art there in a nice gallery line. A dramatic mural gives glamour to a large wall, especially when the ceilings are also high. If done right, in the right style of the apartment, this can be a real upgrade for the entire apartment. Fortunately there are also removable wall paintings. Probably the most popular material, so versatile is this removable, colorful adhesive tape. Use it for some daring patterns against the entire wall, which looks nice and fancy and high-end. Are you a real expert? Then you can even make it look like wallpaper! Perhaps the best news: decorate one wall and you’re actually off (unless you want to continue, of course). 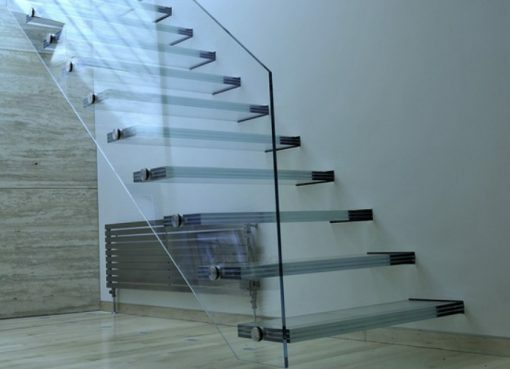 Because one carefully designed wall has enough impact on the rest of your room. You even let two walls clear, to give your eyes some rest points. You read that correctly: once you have finished with that one wall, you can be lazy! You do not necessarily have to use art to make a wall look nicer: an extra bookshelf or storage furniture may also be available. Especially with high ceilings this is a solution to be considered. They take up a lot of space and can be used for storage or the display of your frames and other art. And if you have to move, you just take them to your next home! A few mirrors are always fun to fill a large wall. They reflect light and make the room look more spacious. And whether you go for classic mirrors or modern ones, often they are real works of art in themselves. A rough, stone wall can be a real eye-catcher in your home. A wall like this adds a touch to your interior and thus creates a somewhat industrial look. A stone wall also goes very well with other raw materials such as concrete, wood and steel. You can choose a stone wall with a fairly red color, or you can also go for black, white or a more natural colored stone. Some homeowners are blessed with an original brick wall, but what if this is not the case? There are different ways to achieve this look. So you can easily opt for structured wallpaper with a stone print that is ready in no time.